In its second year, the Festival features international vintners and chefs in collaboration with local talent, bringing tourism to Delaware and increasing awareness of the region’s cultural assets. Local and regional chefs as well as high school and college culinary students, will collaborate with visiting winemakers, chefs, brewers and distillers. The 2013 Festival attracted 4,328 ticketholders from 16 states and nine countries for 42 events; visiting personalities hailed from five continents, with winemakers from five countries, seven international chefs, eight national chefs and 26 local and regional chefs. Direct media inquiries to: JulieAnne S. Cross, jcross@mawff.org, 302.588.3266. 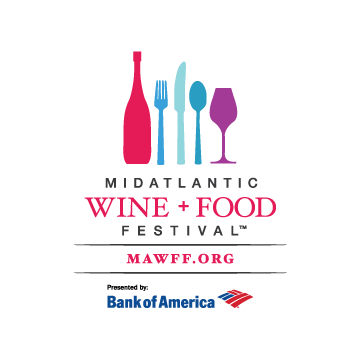 The MidAtlantic Wine Food Festival ™ began as an independent festival in 2013. The Festival’s purpose is to be the premier food and wine event of the MidAtlantic featuring international vintners and chefs in collaboration with our local talent, to bring tourism to Delaware and to increase awareness of our cultural assets. The Festival is the beneficiary of a generous two-year capacity-building grant from the Longwood Foundation. 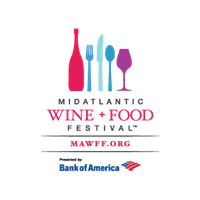 MidAtlantic Wine and Food Festival, Limited, is a Delaware nonprofit. A designated portion of the net 2014 proceeds will benefit five arts-related beneficiaries throughout Delaware. The beneficiaries are: CAMP Rehoboth, Christina Cultural Arts Center, Joshua M. Freeman Foundation (which operates the Freeman Stage in Fenwick Island), OperaDelaware, and the Smyrna-Clayton Heritage Association (which operates the historic Smyrna Opera House). Beneficiaries will also receive board governance consulting services from the Delaware Alliance for Nonprofit Advancement (DANA). The Festival is managed by Strongpoint Events Marketing, LLC.